"A fun and maniacal racing game!" Hoverbike Joust demo is a game still in its alpha phase and needs some more polishing however that doesn’t take away from the essence of it and how much fun it is driving around with no wheels in the middle of a group of maniacs smashing in to you, however using a controller is advisable as it can be difficult to figure out the controls on a keyboard. There is a couple of different modes available a standard race (although that won’t stop you smashing in to fellow racers if it may give you an advantage!) 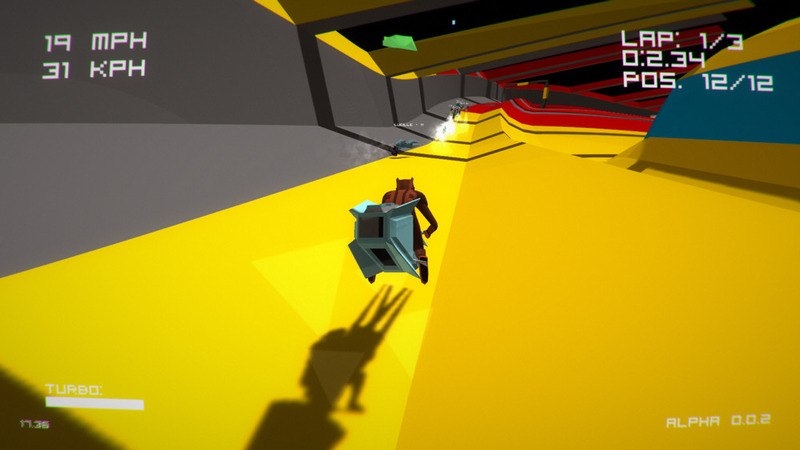 But there is also a joust mode however it can be incredibly difficult to play this mode because you must multi task and ride your hover bike while trying to aim your spear at your opponent. 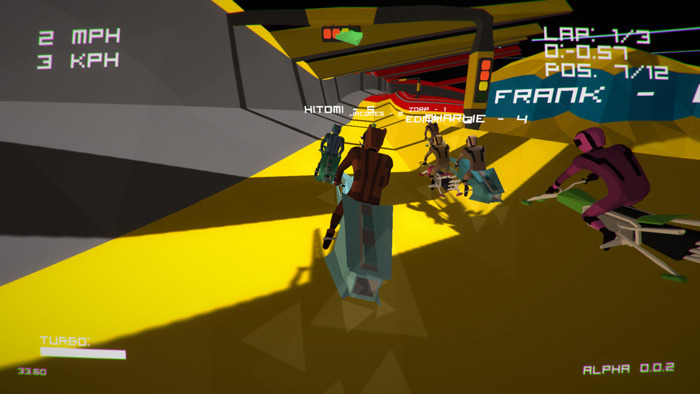 Whilst Hoverbike Joust is not the prettiest game ever it has really good game play and is very enjoyable and addictive, it is reminiscent of older driving games such as Mario Kart or Crash Bandicoot racing which focus on fun rather than that looking beautiful although it certainly does not look bad. 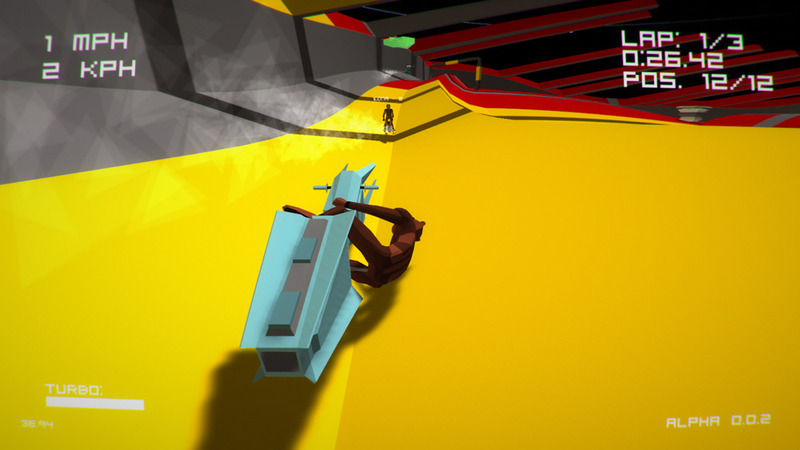 Hoverbike Joust needs some polishing but there is a great game here and it can only improve from here, you can download the demo for free here.